After two years of monthly broadcasts, we have decided to shift the focus of our collaboration to live performances of Ora, where we will bring sounds and words to a closer engagement with the singularities of different spaces, people and atmospheres. Keep checking this blog for future announcements. 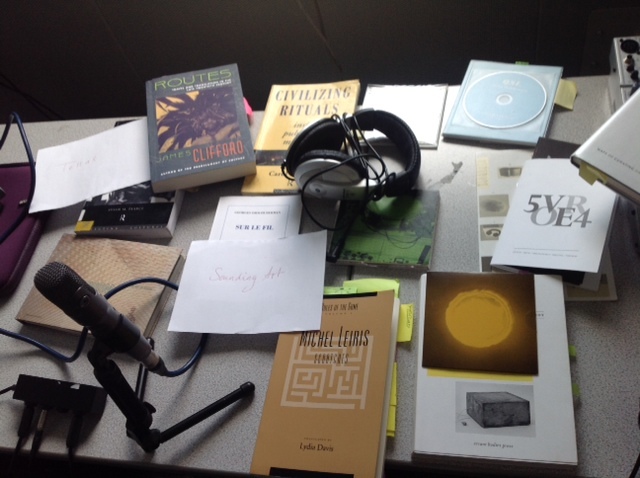 Documentation of previous live performances can be found here (Multisensory Conflict, CRASSH Cambridge), here (Performing Silences, Science Museum London) and here (Sound Studies on the Radio, ESSA, University of Copenhagen).